We strive to provide the best in compassionate eye care to all patients. 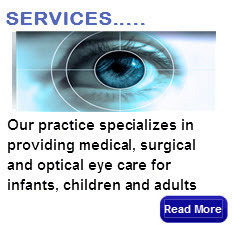 Our practice and its facilities are specially designed to provide complete and caring medical, surgical and optical eye care for infants and children, as well as for adults with strabismus. Dr. Fierson and I want to wish you a happy and healthy holiday season. I would like to update you on our year and hope to impart some information you may find useful in your practice. With Dr. Fierson as the lead author, on November 26, 2018, the A.A.P./A.A.O./A.A.P.O.S. Policy Statement, “Retinopathy of Prematurity Examination and Treatment,” was published online on the A.A.P. website. It has also been published in the print version of Pediatrics in December, 2018. A.A.P. News has also included an article by Dr. Fierson explaining the policy statement (AAP, Others Issue Updated Recommendations on Retinopathy of Prematurity). As chairman of A.A.P.’s subcommittee on Retinopathy of Prematurity (R.O.P.) for 28 years, Dr. Fierson was also the lead author of the previous four joint R.O.P. examination and treatment guidelines. As we know, neonatologists have done a great job saving very premature babies and stabilizing them earlier in life. Unfortunately, R.O.P. is more prevalent in these babies, and may be active after discharge from the NICU. Since parents cannot see the problem, they might, without proper education, think it unimportant to follow-up on this problem, and the exhausted parents do not want to go to yet another doctor. The guidelines point out that there is a brief window to repair damage caused by R.O.P, so adherence to the appointment schedule is vital. The two available treatments for R.O.P. are laser peripheral retinal ablation and anti-VEGF intraocular injection. As more pediatric ophthalmologists are using anti-VEGF to treat R.O.P., longer follow-up is required than with laser therapy. The bottom line requirement for pediatricians is to explain to parents of premature babies that if the baby is at risk, he/she must be seen on time by a pediatric ophthalmologist. Dr. Fierson and Sheryl Handler, M.D. wrote “Reading Difficulties and the Pediatric Ophthalmologist” for the Journal of American Association for Pediatric Ophthalmology and Strabismus, Vol. 21, Issue 6, p. 436-442, 2017. 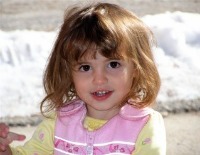 As I previously wrote to you, Dr. Fierson and Sheryl were the authors of the Policy Statement and Joint Technical Report: “Learning Disabilities, Dyslexia, and Vision” (Pediatrics 2009;124;837-834, Pediatrics 2011;127;e818-e856). Their publications have indicated that dyslexia is a neurologic language-based disorder, and that visual problems do not cause dyslexia. Since there is no scientific evidence to support the efficacy of eye exercises, they recommend early recognition and individualized, interdisciplinary management strategies as the keys to helping children with dyslexia. page 2/2 Holiday letter 2018. 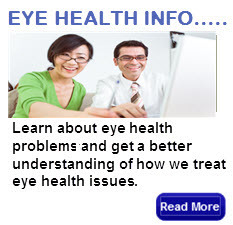 As I previously wrote to you, the progression of myopia (nearsightedness) is of great concern to many of us. Myopia, most commonly caused by an increase in the axial length of the eye, is the most common and significant refractive problem in children and adults. High myopia can lead to macular and retinal degeneration. Myopia is a heritable disorder. Although research has shown the importance of sunlight in retarding myopia progression and studies both in Asia and Germany linked the length of education to the incidence of high myopia, we now know that its progression can be retarded by 0.01% Atropine. Thus, we are happy to tell you that Dr. Fierson has been successfully preventing progression of the more common form of myopia with 0.01% Atropine. Dr. Fierson chooses to treat children from the age of 3 who have minimal to mild myopia, especially those who have one or both parents with significant myopia (over 1.5D). As for the rest of the office, Dr. Nelson Bates, our optometrist, continues to offer contact lens prescriptions and fittings for adults and adolescents. He still likes to use the contact lens Acuvue Oasis, which has higher moisture content making them more comfortable to wear. He welcomes adults, as well as, teens to his practice. Dr. Bates’ knowledge of optometry and his excellent manner with patients has been a great asset to the practice. 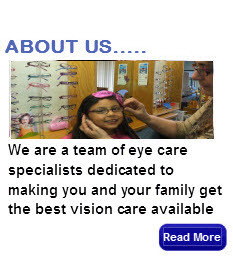 Our optical department, All for Kids Eyes Optical, has sunglasses and ophthalmic frames for adults and children. We have added Vogue frames to our Oakley, Ray-Ban, Nike, and LaFont collections. Luxotica, manufacturer of Ray-Ban and Oakley, is now putting lenses into the frames. Their lenses are very thin (aspheric lenses) and have anti-reflective (AR) elements incorporated into the lens. For Ray-Ban and Oakley, they are engraving the logos on the lenses as they do for their sunglasses. They also have a blue light blocking AR feature available, which may prevent blue light UV rays from damaging the eyes. Dr. Fierson and I continue to serve on The Dean’s Advisory Committee of the College of Arts and Sciences at our alma mater, the State University of New York at Buffalo. Dr. Fierson was chosen as the “Outstanding Alumnus” in 2016. At this annual meeting, we had the opportunity to meet several foster children who have benefited from Dr. Fierson’s work through the A.A.P. to get better care for foster children. We would also like to take the time to thank you for your trust in Dr. Fierson as your child’s pediatric ophthalmologist. He remains as committed as ever to offering the best treatment possible to his patients and advancing the practice of pediatric ophthalmology in general. We look forward to seeing you in the office. The office email is: drwalterfierson@gmail.com. 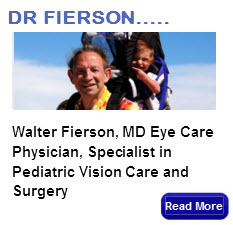 Our website address is: www.drfierson.com, and our Facebook page is: Walter M. Fierson, M.D., P.C. Have a wonderful holiday season and a healthy and happy 2019. Carolyn C. Fierson, Ph.D. .